Hope this article will come true... a lot of Sabahan is waiting for this. Strugeling the whole day, working night and day should be rewarded by equal wages. My brother is working with KDRM or Kastam Diraja Malaysia and offcourse he will be shared the benefits of this standard minimum wage in whole Malaysia. For other Sabahan just be patient and wait for the improvement for our govt. 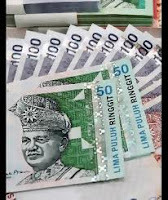 Sabah will adopt the minimum wage structure once the National Wage Consultation Council Bill is approved by the Dewan Rakyat. It is to be tabled today (Tuesday). Deputy Human Resources Minister, Senator Datuk Maznah Mazlan said this is despite Sabah and Sarawak having their respective labour laws. "Sabah has to adopt the wage structure because the study that we are carrying out involves Sabah and Sarawak," she said, after the launch of the National Level Occupational Safety and Health Week 2011 at Menara Tun Mustapha, Tuesday. Minimum wage refers to how much should be the starting salary for the lowest paid worker after taking various factors into account. Deputy Chief Minister Datuk Dr Yee Moh Chai represented Chief Minister Datuk Seri Musa Aman at the launching. She said 33.8 per cent of the employees in Sabah and Sarawak are earning a basic salary of less than RM700. And because of that, Sabah would have to adopt the minimum wage structure once it is implemented. The National Wage Consultation Council Bill is aimed at coordinating and setting a minimum wage structure for private sector workers. The Council consisting of workers' representatives, professionals and individuals would make recommendations on the minimum wage structure to the Government. According to her, the minimum wage would be announced before the end of this year. She said the determination of salaries through market forces was ineffective. Thus, the Government decided to impose the minimum wage structure so as to defend better the employees' sector. The study was carried out with the World Bank and is in its final phase now. "We are also studying the minimum wage in other countries," she said. In making recommendations to the Government, she said the National Wage Consultation Council would be taking into consideration the interests of the private sector workers as well as employers in Sabah and Sarawak. "It is the government's responsibility for the Government to balance the interests of the employees and employers," she said. If the Government only considers the interests of one side, it would create repercussions, she said. And instead of benefiting both sides, the employees would lose their jobs if the employers wind up their businesses for being unable to pay the workers' salaries, she added.